It might not be immediately apparent, but your company’s profitability depends as much on your ability to minimize costs as it does on maximizing revenue. Even in billion-dollar enterprises, the adage "a dollar saved is a dollar earned” holds true. Efficiency separates strong, lasting businesses from the ones that fold within a few years. Efficiency doesn’t just apply to production, energy use and man hours. It involves every facet of your operations. This includes support functions such as HR, accounting, and even workplace maintenance. Cleaning is often overlooked by facility managers as an area where they can save a bundle, but it’s a fact that a lot of efficiency can be eliminated here. Eliminating waste may not seem like much of a boost, but if you factor in how much of a financial impact cleaning efficiency makes on your operations, you can see how it adds up over time. Whether you have an in-house janitorial team or you hired a professional cleaning agency, you need to look at a few facets of cleaning where there might be waste. By streamlining cleaning processes and increasing efficiency, you can ensure that this facet of workplace operations contributes to overall profitability. Areas Cleaned – Some places in your workplace get less human traffic than others. These places get less dirt, water and other contaminants in them. Therefore, they don’t have to be cleaned on a daily basis. Some of them will be fine being cleaned once a week or even every other week. Identify places in your commercial space that fit the description and review how often they should be cleaned. This saves precious time, energy and service charges for otherwise unnecessary services. Equipment Used – Cleaning equipment, like most other electronics and appliances, have evolved over the years to become more energy-efficient and nature friendly. If your cleaning service provider uses floor buffers or vacuum cleaners that were manufactured more than seven years ago, there’s a good chance that they might not be as power efficient as today’s models. Regular upgrades to better equipment shows a commitment to deliver the best service possible to an agency’s clientele. You have every right to ask about this because ultimately, those machines will be plugged into your facility’s walls. Employee Turnover – Are the cleaning professionals who go to your facility from the agency the same ones you’ve been seeing a few months ago, or are you seeing new faces all the time? This is something that many facility managers overlook, but is actually very important. Seeing new personnel all the time is a sign of high employee turnover rates. While there’s nothing wrong with hiring new people regularly, losing people all the time is troublesome. It prevents people from gaining a level of experience and familiarity with processes and facilities that should have made them better at their jobs. Instead, you’ll be faced with employees who constantly need to be taught your preferences, and will have to re-learn processes. Chemicals Used – Losing employees for a few days due to sickness can wreak havoc on your productivity. You’ll want to make sure that they stay as healthy as possible all the time. This means promoting health and wellness in the workplace – something that your cleaning service provider needs to take an active part in. Minimizing the use of toxic chemicals and switching to more organic and nature-friendly solutions may seem like an added expense initially. However, you’ll make the money back in terms of better overall health in the workplace. By exposing your people less to harmful substances, you lower the chances of them having allergy attacks or weakening their immune systems. Ultimately, profits are a function of earning more and spending less. By choosing a better cleaning service provider, you need to spend less time managing your facility, allowing you to focus more on growing the business. You’ll also increase operational efficiency, which translates directly into the better use of available resources and saving whatever is in excess for another day. 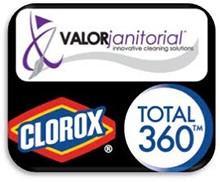 For reliable janitorial services in Dallas, TX and the surrounding areas, get in touch with Valor Janitorial today. We offer extensive cleaning services that include commercial office cleaning, carpet cleaning, and window cleaning. For more information about these services and more, get in touch with us through our phone number at 214-238-9550 or by leaving us a message on our Contact Us page.